The Curriculum Initiative promotes the following principles to guide the development and implementation of early childhood curriculum, as interpreted and adapted to fit each country and community. Early childhood is the period of human life from conception and birth through age 8 or 9. These are formative years in children’s development and learning when a high-quality program can build a solid foundation for their success and fulfillment in school and life. 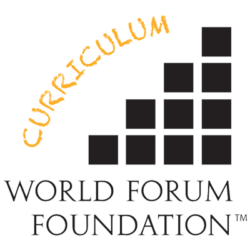 From its beginning, the World Forum on Early Care and Education has been committed to addressing early childhood curriculum. This commitment previously resulted in presentations of several widely used curriculum models or approaches.